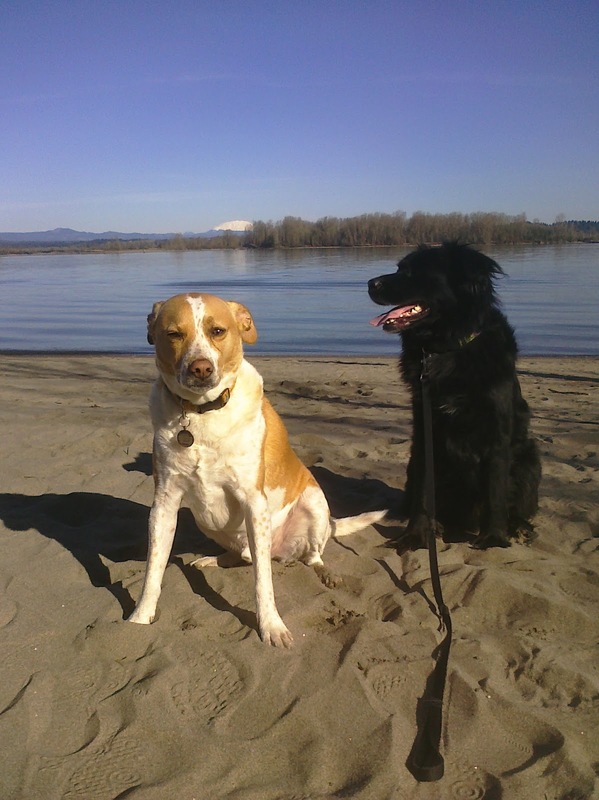 We've been having some amazing February weather lately and on Monday I took the dogs up to Sauvie Island. I was mainly inspired by some great bird sightings, but really didn't spend much time looking for them... It was so nice I took the dogs to the beach to run around and for a hike around Virginia Lake. Inbetween stops we wandered Rentenaar Road a bit too. There were thousands of Snow Geese along with Sandhill Cranes, Canada and Cackling Geese, and some coots. They were putting on quite a show. At the end of the road I tried to get a good look at a perched raptor in the distance. It was just too far away, but when it took flight I managed a few photos... I think I'm looking at a Golden Eagle here! 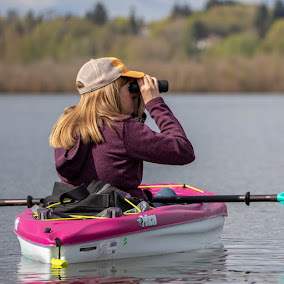 It was a great afternoon to spend at Sauvie Island! The only way it could have been better was if the Captured By Porches beer bus was parked at Kroger's (and if Kroger's was open!). Even still, good times!! I believe you are correct on the Golden Eagle. How Cool! I am jealous, having never seen one on the west side. NICE shot of the boys...they are loving that beach walk I know. WHAT a huge flock of SG..wow Ive never seen ONE--SO Im very jealous...have seen a golden but its been a WHILE so Yippie for that one too!! AND yes Id love a beer I got served with Divorce papers today SO IM CELEBRATING!! We took Choco the Wonder Lab out there on Sunday for some exploration. Went to the same spots you did and loved the geeses and cranes. Virginia Lake was a nice spot for the pup. Great call on the Golden. Looks like an amazing spot! We don't get the huge flocks of Snows here, darn it... something I'd very much like to see. Not to mention a Golden Eagle-- some luck! How cool, a Golden Eagle. A great sighting. I love the shots of the Snow Geese, they are always neat to see and such large flocks. Your dogs are well behaves and very cute. I have been thinking about adding this place to my list of stops for birding in July. Do you think there would be good birds in July? Is that the same eagle we looked for? Good on ya. Too bad you spelled "Suavie" wrong.